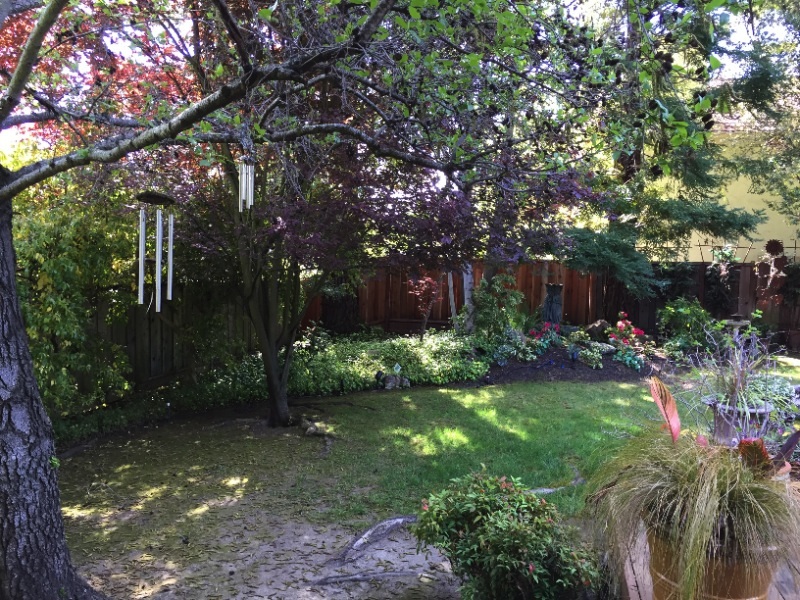 The images here show an old lawn area that has become increasingly shaded as the surrounding trees have matured. 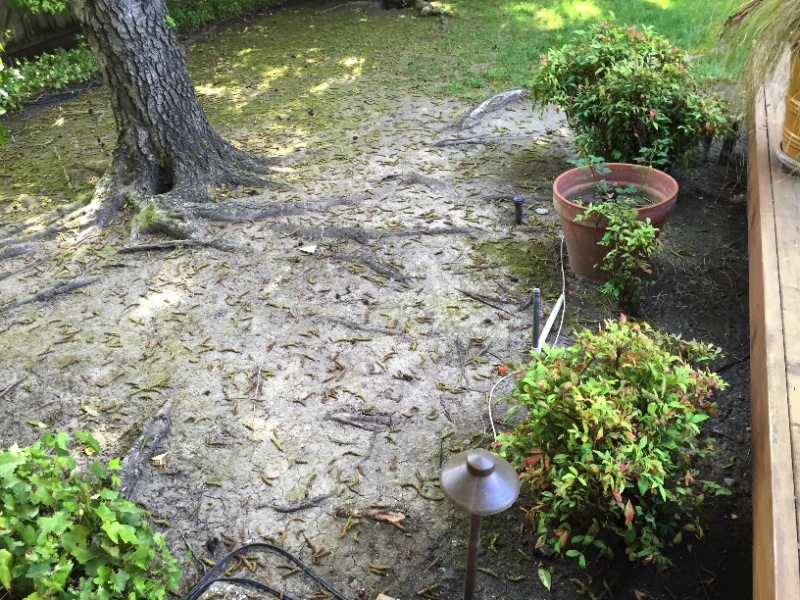 In addition to the shade factor, the surface roots of the trees have also created challenges for the lawn. Also, there are no visible drain inlets in this lawn, so any water that drifts into this area sits on the lawn and is continually wet without ever really drying out. Grass does not grow in shade. My best advice for areas with nearby trees is to expect the lighting to change as the years pass and prepare to renovate by removing some ‘lawn’ areas. When the time comes, consider adjusting the irrigation, and adding shade tolerant groundcover or plants to fill the shady void where lawn once thrived. Don’t be fooled by bags marked ‘shade ’seed or sod. These still require a certain amount of sun to perform well. On this project, the renovation included adding a serpentine flagstone stepping stone path through a dry creek bed. Also, the addition of various sized stones around the exposed tree roots, along with some shade-loving groundcover and perennials. The spray heads on the lawn that previously occupied this area were capped off. Now it is a much more aesthetically pleasing area with the appropriate planting accents, as well as a visually-pleasing and functional area. Do you have a lanscape challenge? Call me or use my contact form to ask me about your question!